Mickey's main squeeze couldn't look any cuter! 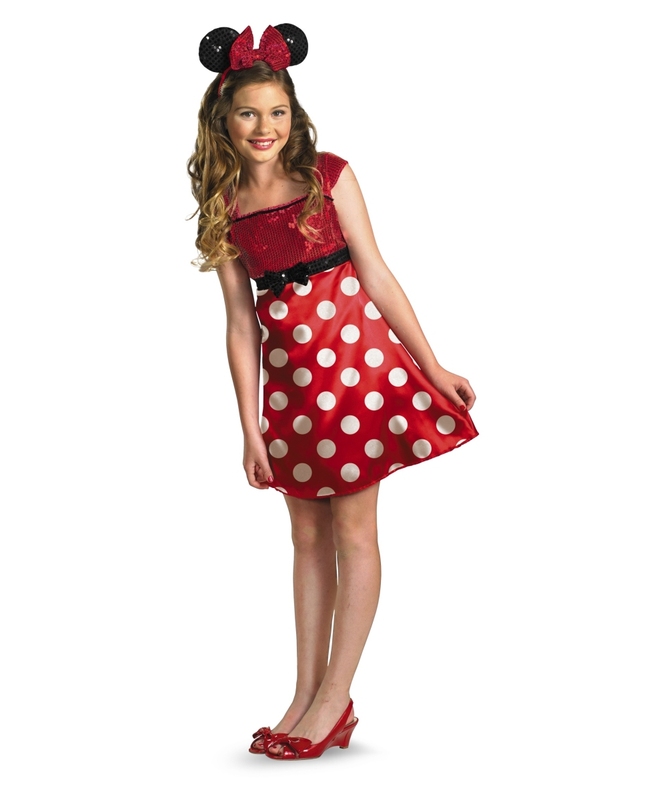 Red Minnie Mouse Girls Costume includes a cap sleeve dress with a red sequin bodice and black sequin waistband with bow and a red and white satin polka dot skirt, red sequin bow headband with black sequin ears, and a detachable tail. This is an officially licensed Disney (TM) product. This cute Minnie Mouse Costume for girls is available in child sizes Medium (7-8), Large (10-12), and Tween size (14-16). Review(s) for " Red Minnie Mouse Tween/ Girls Costume"